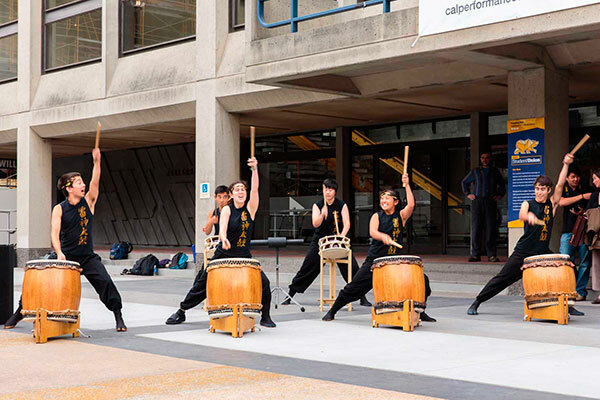 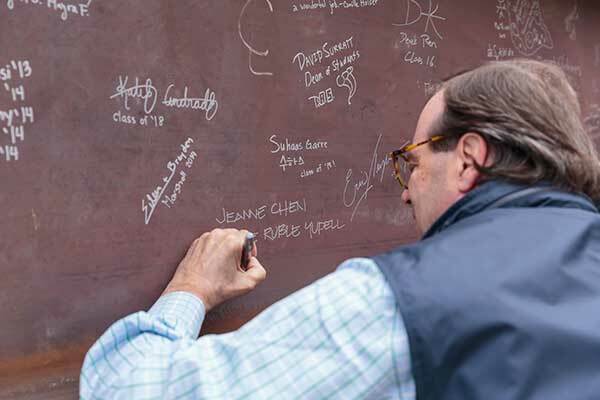 A historically significant milestone was reached on the UC Berkeley Student Union project. 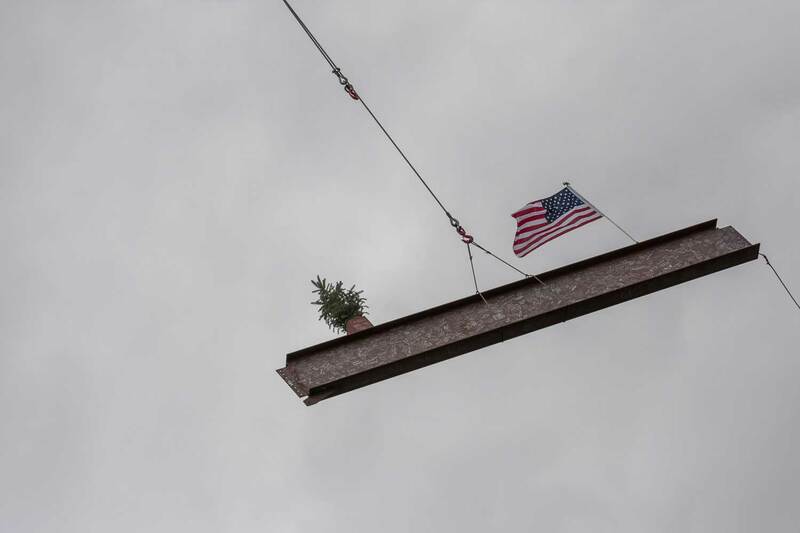 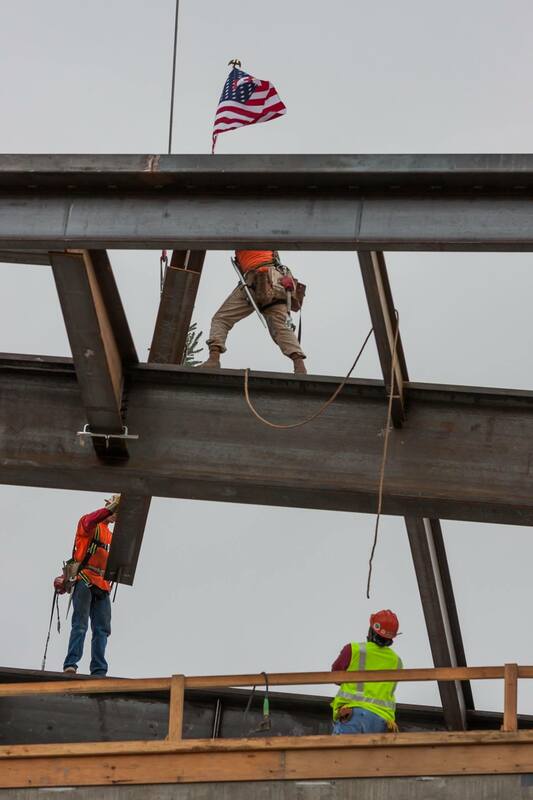 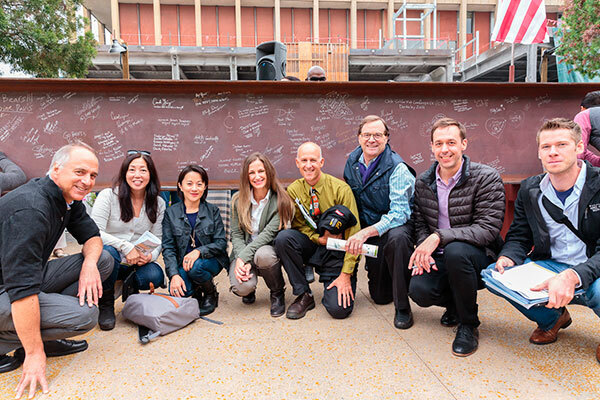 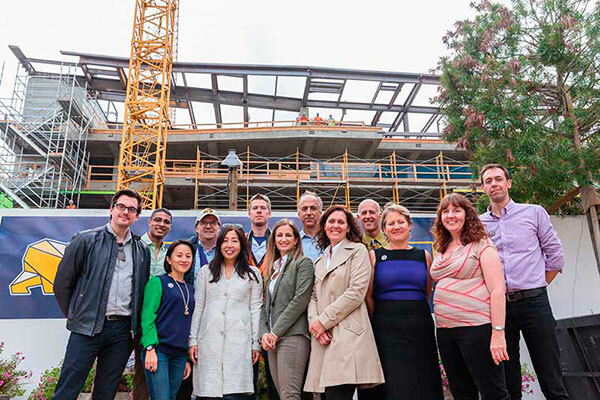 On October 14th, 2014, student leadership (dating back to 2007) gathered with UC leadership, the mayor of the city Berkeley and our design and construction leaders to witness the raising of the final structural beam atop Eshleman Hall. 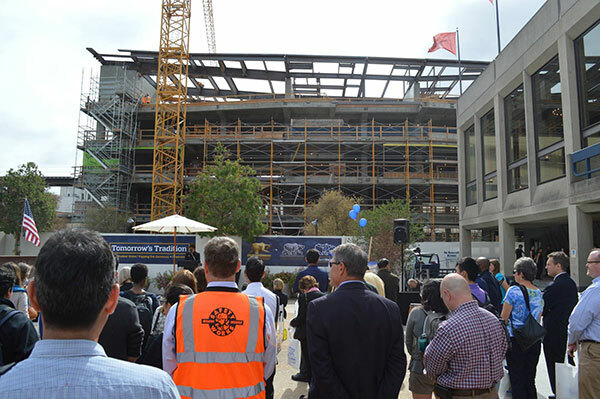 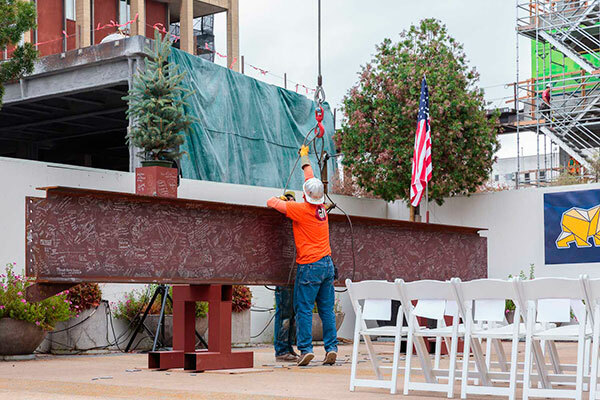 Construction workers, students, architects, administrators and local politicians congregated at the center of the plaza and perched on the edges of the partially constructed terraces, bridges and floors as the entire campus celebrated the realization of a vision. 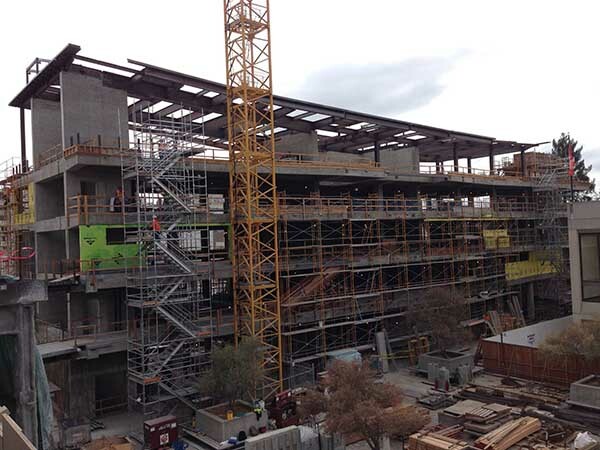 The opening of the project is scheduled for Fall of 2015.